Looks like something a child made. Let me know if anyone knows what this is. 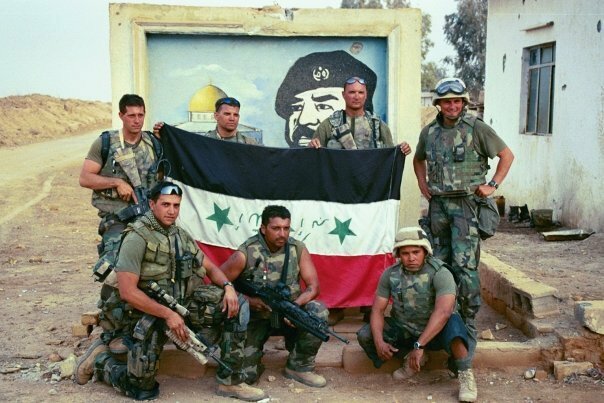 Captured flag at the entrance to Abu Abbas training camp outside of Baghdad. Nice items you have there.